As fitness personnel, our focus is on one muscle of our body daily. 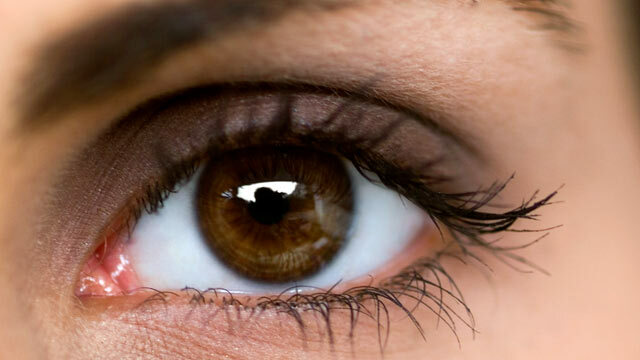 Having said that I would say let’s not neglect the very sensitive part of our body which is our beautiful eyes. I remember as a kid attending yoga sessions in school during our physical training class. Our teachers took so much effort and tried bringing awareness of exercise among us at a very young age. Talking about school, the eye yoga session, I remember was something very funny we did and at the same time enjoyable and less time consuming. It was an easy exercise and we were sure to get some spare time in the end to play some outdoor games on our own. As it is said eye is the Lamp of our body and it sure deserves some special attention and care. Few exercises will surely help to improve flexibility, strengthen the muscle and improve for better and sharper vision. Today, both children and adults are exposed a lot to television, computer, tab, mobile etc. Even our break time is all about browsing through internet, reading, whatsapping, etc. A small 5 to 10 minutes break is all that is needed for your eyes! Following are some exercises that you can try at your desk, before bed, during office break or anytime you want. Right and left movement: Select a centre point as you sit and slowly move your eyes left, stretch, hold and back to center point. Do the same for the right side. Repeat the movement 4-5 times. Slowly close your eyes and relax. Up and down movement: Keep your centre point and slowly move your eyes up , stretch and hold and back to center point. Now slowly move your sight downwards, stretch and hold and back to center point. Repeat the movement 4-5 times. Slowly close your eyes and relax. Upper right & lower left and upper left & lower right: This is slant movement. From your center point to upper right hold and stretch. Back to center point and then slowly to the lower left. Hold and stretch. Repeat 4-5 times. Do the same for the other side that is upper left and lower right. Hold and stretch and repeat 4-5 times. At the end of it close your eyes and relax. Circular motion : This movement is two types clockwise and anti clock direction. Make a big circle as big as possible. Repeat 4-5 times. Near and far: keep your right hand straight at your eye level with thumbs up and make it as a center point. Now the movement is look at your nose, thumb. somewhere far, back to thumb, nose and repeat the same. At the end it close your eyes and relax. Heat: Rub your palms slowly till little heat is generated. Place it over your eyes like a cup without touching the eye lids. Open your eyes slowly while your palms are still over your face. Feel the heat moving inside. Pamper more if you have some extra time: Dip some cotton in sterilize rose water (if required put cold rose water) and place it over your eyes for some time. Eye pack can also be used at the end of the exercise as a treat. Too good exercise of eyes.